What is probate, and why should you avoid it? 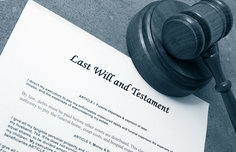 Probate is a court proceeding during which the will is reviewed, personal representatives or executors are approved, heirs, beneficiaries, debtors and creditors are notified, assets are appraised, your debts and taxes are paid, and the remaining estate is distributed according to your will (or according to state law if you don’t have a will). Probate is costly, time-consuming and very public.